The holiday season with all its wonder and almost magical allure of lights and decor is a beautiful time of the year! The holidays can also have many stressors and emotional triggers that are associated with the season that many struggle with. There are so many things going on here, there, and everywhere it seems during this time. There’s more pressure of expectations during Christmas through New Year’s then any other holiday I believe next to the official holiday season kickoff of Thanksgiving. 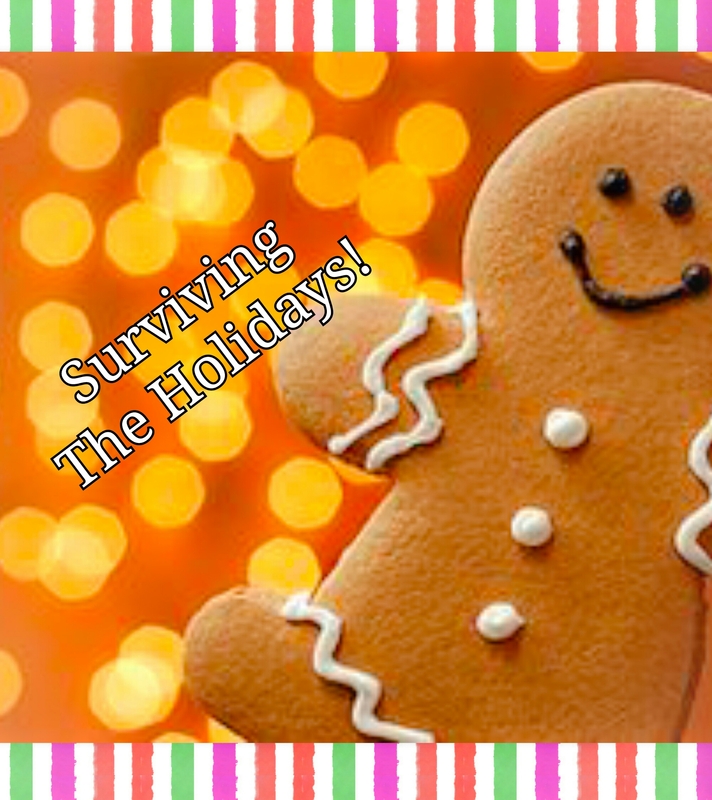 Here are a few holiday emotional triggers with possible relief in handling holiday stress. We love our children and grandchildren. However regardless if it’s talking about our younger kiddos bouncy from the holiday break, our college kids visiting with”house guests,”or our adult children needing child care for the break it can get pretty overwhelming quickly. Try to take things day by day in stride. Plan activities and meals in advance. Although our older children are on break allow them to help out around the house, and use those times as bonding moments. Finance and gift buying can be stressful doing the holiday seasons. Prioritise your gift giving to not add so much pressure in buying for everyone. Think of ways to be creative with gifts as well with delicious treats or personalized crafts with deep meaning. Try to shop online or limit shopping to one or two stores for everyone. Also, sharing in precious moments as family and friends are priceless to invest in other than gifts. House hopping to visit family and friends can make the season pretty busy. Visit who you can when best you can. Know it’s okay to alternate the visits between in-laws. If having to deal with the stress of dysfunctional family members limit your time. Make it short sweet and simple in dealing with family settings that are more intense. Holiday travel can be costly, and holiday travel can be time consuming. Try to prepare in advance for your traveling needs. Do your best to search for deals for flying and bus tickets. Also, if you can’t see everyone this year for whatever the reason utilize the beauty of advance technology and social media to video chat or FaceTime. It’s also fine to make arrangements to visit family and friends later following the busy congestion of holiday travel when things settle down. Limit yourself from over extending yourself in trying to participate in every holiday event and activity. Don’t over commit yourself or your family. Do only what you can, and don’t have any guilt if you can’t make it. You all may not be able to participate in everything that is offered. You can’t make it to everything you are invited to. Pace yourself in holiday clean up, rearrange, and prepare in advance your meals ahead of time for the big feast. Do your best to relieve the anticipation and anxiety of the New Year with your goals by taking it all day by day. Pray, plan, and execute the goals for the year ahead by writing down realistic goals. Make small steps in writing to do your best in accomplishing those goals . The lost of a family member or a dear loved one can be very difficult. Each year the memory of the lost of my father who passed around the end of December hits me close to home. It use to have a strong impact on my mood in having the holiday blues.Do things that keep you busy in being active in healthy ways in enduring the sadness of the lost of a loved one. If you have the emotional strength you may want to visit happy places of memory that you and your loved one shared. Surround yourself with those who can pour in support for you doing this challenging time. Do your best to be more reminiscent of the good times you all shared together rather than that of the lost. Holiday mood swings and temperament changes can be more evident than what the media and it’s promotion of cheer in advertisements will ever share. You never know what someone else is going through emotionally. The snappy co-worker, friend, or store clerk maybe dealing with all the things mentioned above. Give grace whenever possible, space if needed, and do your best not to take it personal. Hey maybe you can bring cheer to someone who is down. Remember take it day by day. Have realistic expectations for your time and budget for the holidays. Lastly,the best gifts are priceless. Share in good thoughts and memory as best you can during the hustle and bustle of the season. Wishing you nothing but the best this holiday season for you and your’s. Love your flowers at the top. Great advice. Love your flowers at the top. Great advice. I also reblogged it since I think many would gain much and get help with dealing with the subject.